Dark fantasy author T.M. 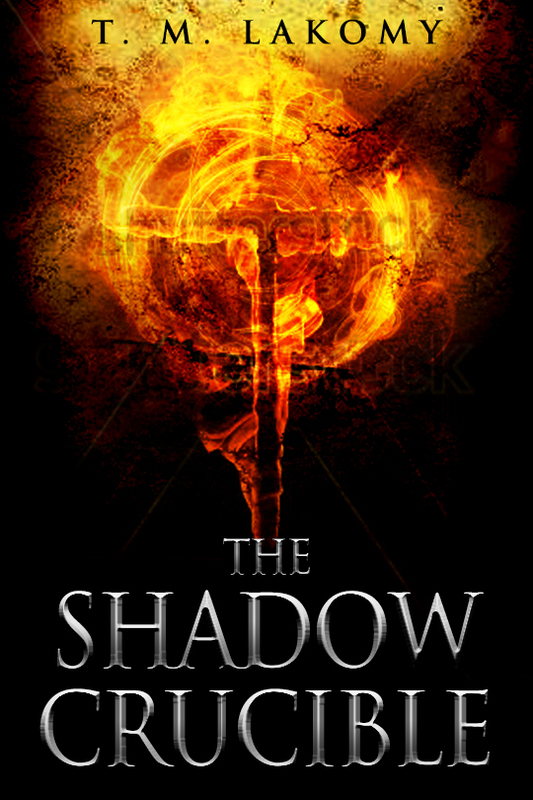 Lakomy (Tamara Lakomy) joins me today and we’re chatting about her new novel, The Shadow Crucible: The Blind God. Welcome, T.M., please tell us a little bit about yourself. I am T. M. Lakomy (Tamara Lakomy). I was born in London, but grew up as a tribal girl in a North African repressive regime. I spent my childhood between the slums of Mellasine and the affluent neighbourhoods in Tunis. I studied archaeology and became enamoured with the shamanistic practices of indigenous people. I am an author and poet who seeks to challenge our notions of reality, and see life with a different perspective. I work in East Africa with indigenous tribes studying the origins of mankind and the salient golden thread in the tapestry of humanity's beliefs. Please tell us about your debut novel. The characters have been germinating in my mind for years, I was always enamoured with ancient religions, specifically how they mirrored each other. The insatiable desire of humanity for a messiah has influenced civilisation to a much larger extent than we believe. The desire to believe we are god’s children and precious souls is the core of our religious identity, and I wanted to challenge the blind dogma. My archaeological studies and my own exploration into the esoteric led me down a path of challenging the cornerstones of our core beliefs and the roots of our schisms. The elven king lowered his eyes to the ground, and when he lifted them imperiously they were as yellow as amber. “We are demons to you, and your people are responsible for our death in this sphere. We forgive you not, for you have robbed us of our rulership on earth, though in that you have all paid a price.” Mikhail stayed silent, diverting his gaze towards the merry folk. “Demons they became,” he finally spoke, “and the Horned God made into the devil that we revile. Sol Invictus, a Fantasy Horror, which blends numerous experiences of mine growing up in North Africa, in a culture that still practices occult forms of black magic, enduring many social blights. I have used my own stories as fuel for my inspiration, taking unsavoury topics and dressing them with a veneer of fantasy, but the themes are quite real and contemporary, highlighting issues and fears that plague us today. The power struggle between the Cult of the Sun King, seeking Apotheosis; man becoming God, aided by his faithful followers the Silver Brigade, to find his soul a vessel and the Shrine; the indigenous tribal magicians whose hoarded relics hold djinns powerful enough to thin the veil between life and death, holding the key to the forbidden necromantic Arts. The impediment to the Sun King’s plan is the enigmatic Narya, a crime lord who forsook her guild education and the Shrine’s protection, shrouding her identity in mystery, and Maxilan the deadliest lieutenant called also the “White Devil”. Maxilan discovers his draw to Narya to be the fulfilment of his destiny; also his demise, resulting in him facing the reality of his purpose, the eugenics program that created him. When my publication date approached. I co-founded blueprints.org, and although it takes most of my time, it creates this need and desire within me to write. My business side and my writing life are two facets of the same coin. I take inspiration from my dreams and lucid visions. I tend to incorporate a lot of the personification of my subconscious world, sometimes allowing it full rein to see where it will lead me. There is much psychoanalysis going on in my writing, numerous layers to a scene and to a character. Many things, I wanted to be a botanist, an astronomer, then a university lecturer. I have always chosen fields that are close to nature whether it is our environment or the study of humans. I include many hidden messages in my writing, and if my book stands the test of time, then perhaps they will be uncovered. Thanks for being here today, T.M.